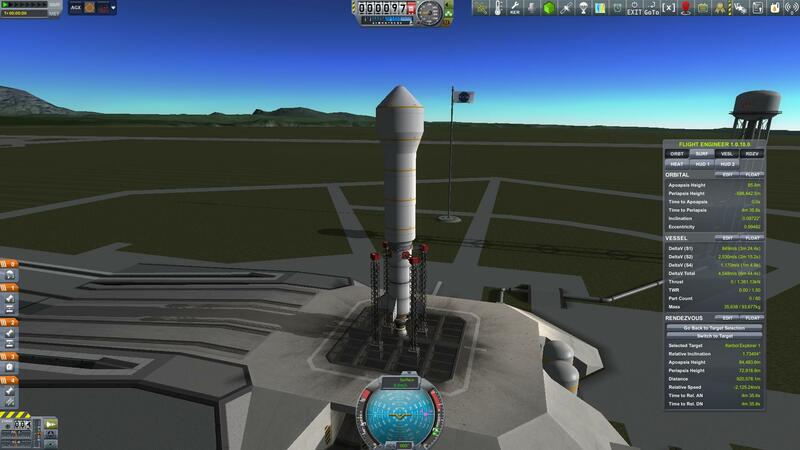 Getting back to my mission preparation for my first Kerballed mission to Jool, the next piece that needed to get into orbit was the Jool 5 Lander (since it’s going to land on five different moons, not that it took five designs to get it right). 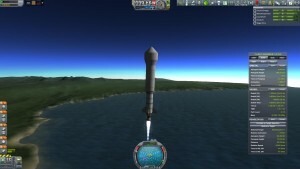 The launch went well, although I had to jettison the fairings below 20 kilometers which isn’t usually a good idea, but could have been much worse. 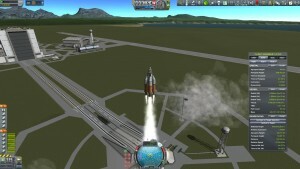 I did end up using quite a bit more fuel than I expected. 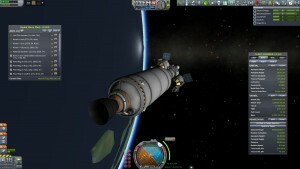 I still had plenty for rendezvous, but I knew then that wouldn’t have enough on the Explorer to completely refill the lander. So of course that mean I needed to launch a refueling ship. 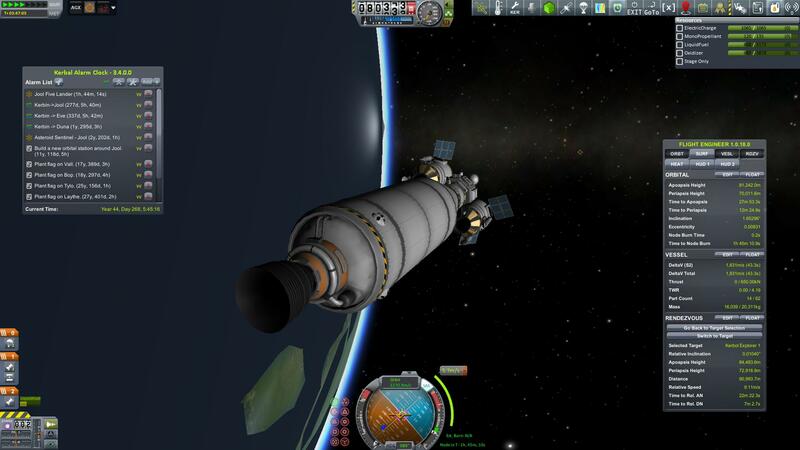 I do have a refinery set up in orbit around Bop in the Jool system, but my plan was to go there last to refuel the ship before returning to Kerbin. 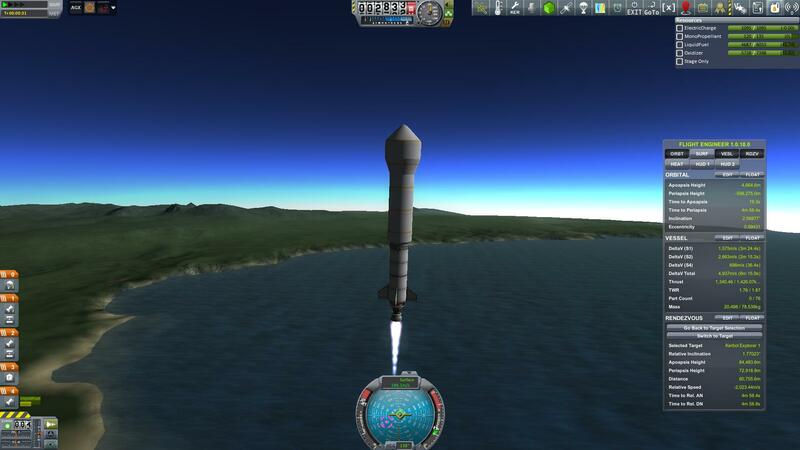 I didn’t want to have to go there first, hit the remaining moons, and then go back again. 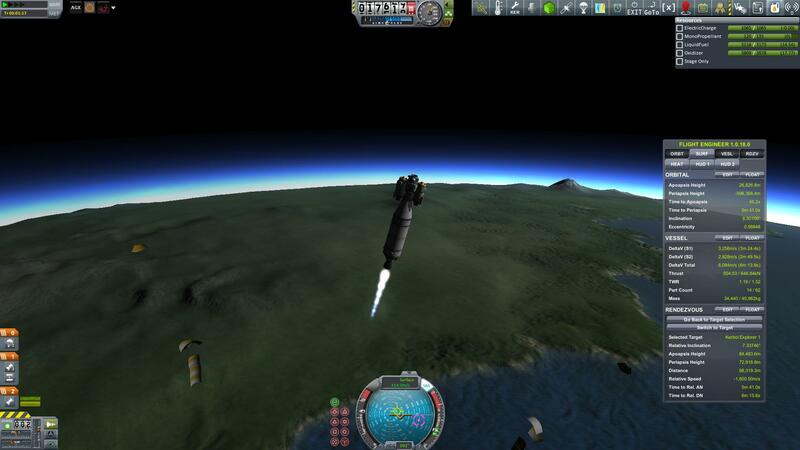 Far easier to do the refueling in Kerbin orbit instead. 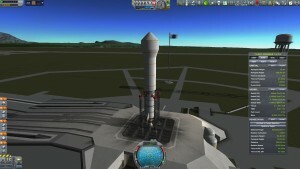 I happened to have a large refueling rocket design already that was over kill for my current needs, but that’s kind of how you’re intended to play KSP anyway. 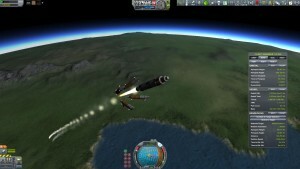 The refueler launch and rendezvous went off without a hitch. I always enjoy watching booster stages separate and drop away. 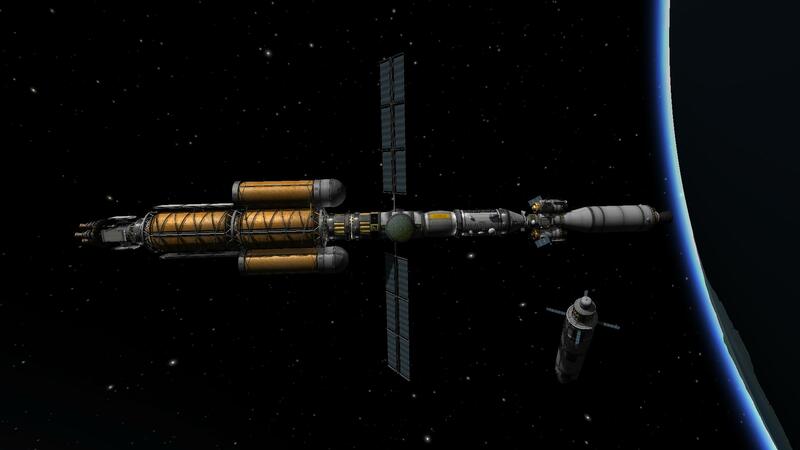 Here’s the completed ship, fully fueled, and ready to receive crew once the transfer window arrives.